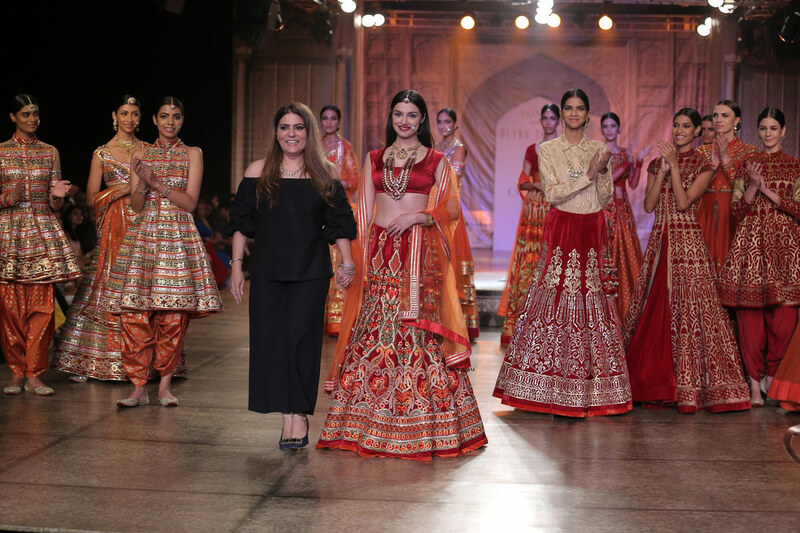 Reynu Taandon couture 2016 collection at ICW had Divya Khosla Kumar as the showstopper. 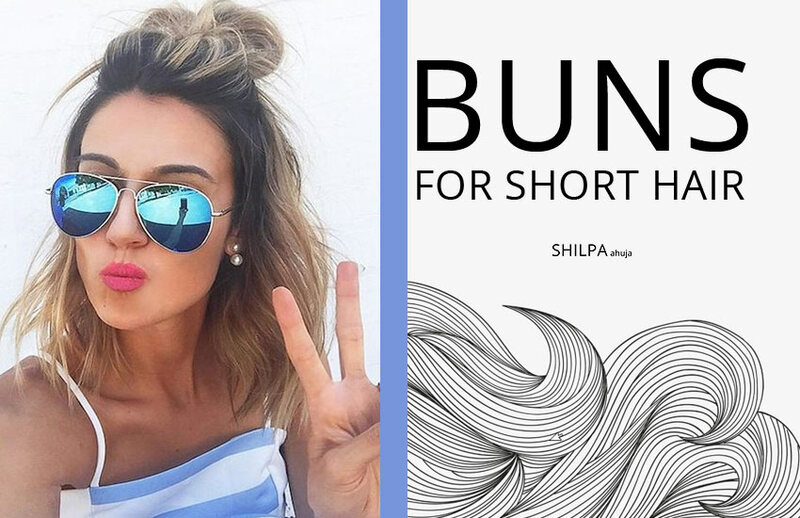 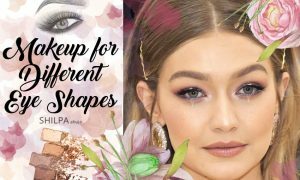 View the collection and read our review! 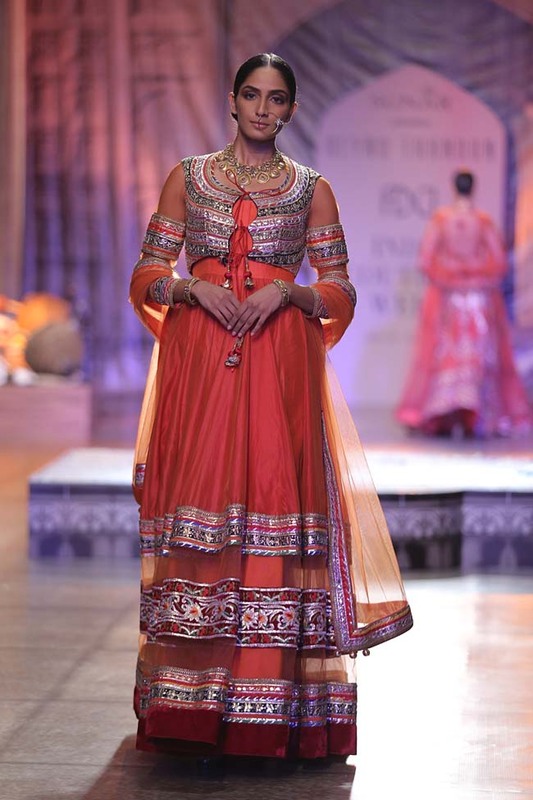 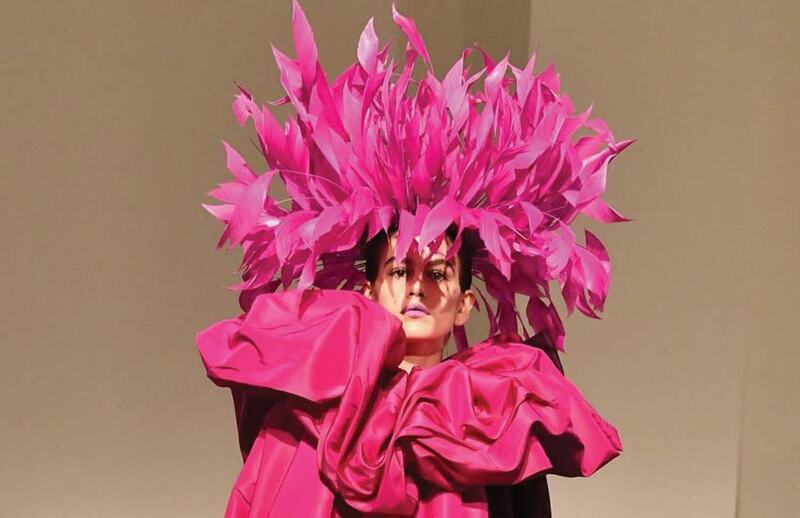 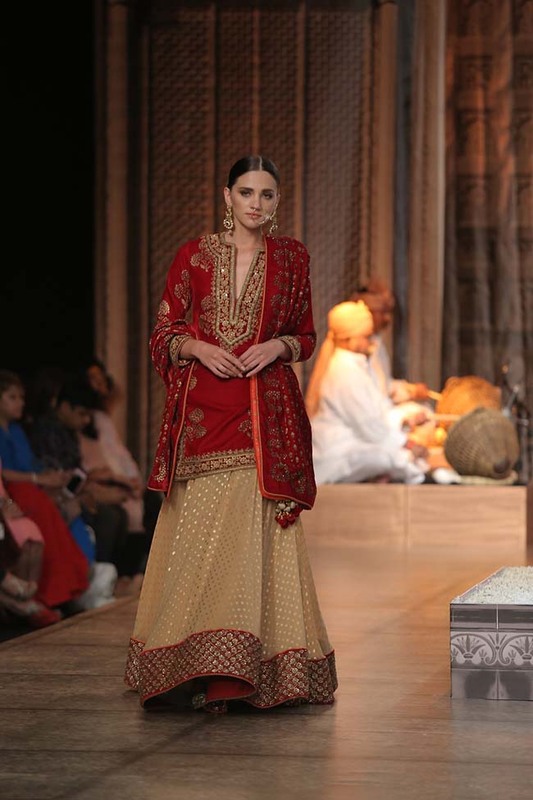 Fashion Designer Reynu Taandon’s latest couture collection was presented at India Couture Week 2016.The collection titled ‘Kamangari’ was inspired by the “beauty and grandeur of Rajasthan,” Reynu Taandon said in an interview. 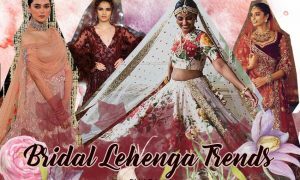 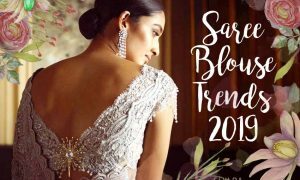 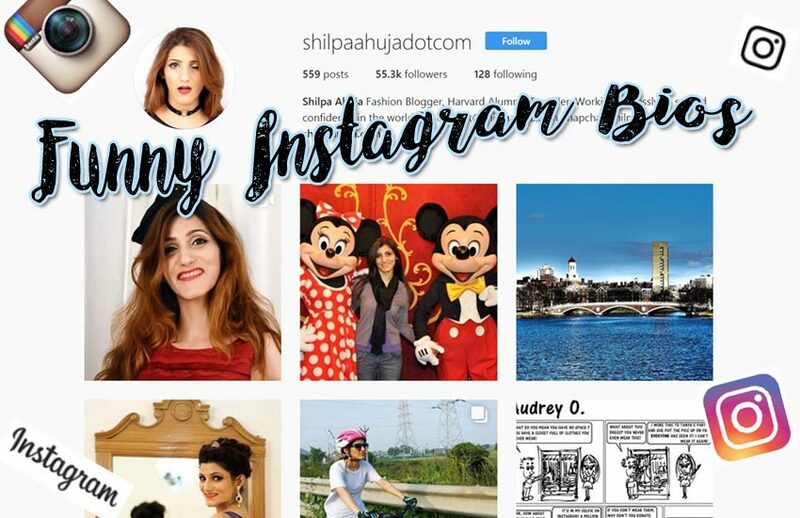 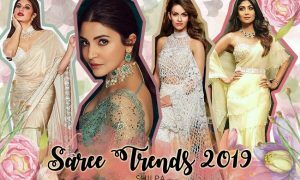 This collection has been designed keeping in mind the ‘new age’ bride – “A girl that redefines the conventional bridal fashion with all that is modern along with an imperial twist”. 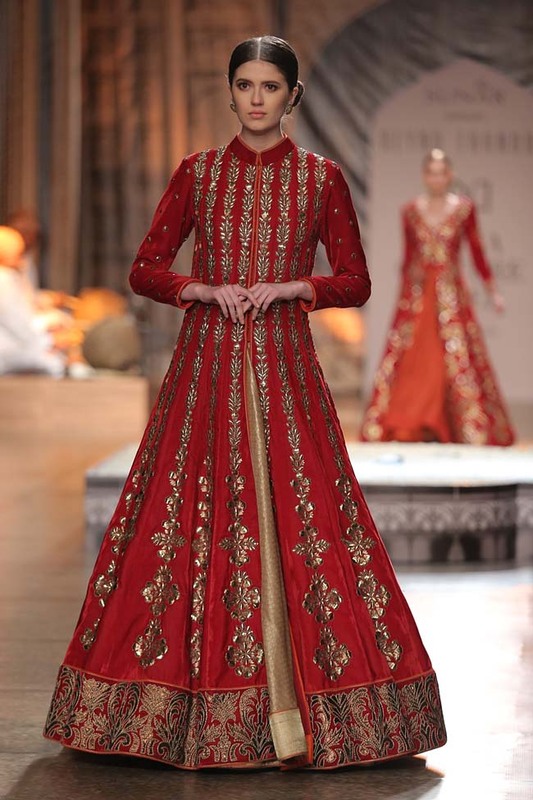 The collection “is all about redefining the traditional bride while taking a leap into mélange of colors”, and showcased intricate royalty-inspired threadwork patterns and handmade embroidery. 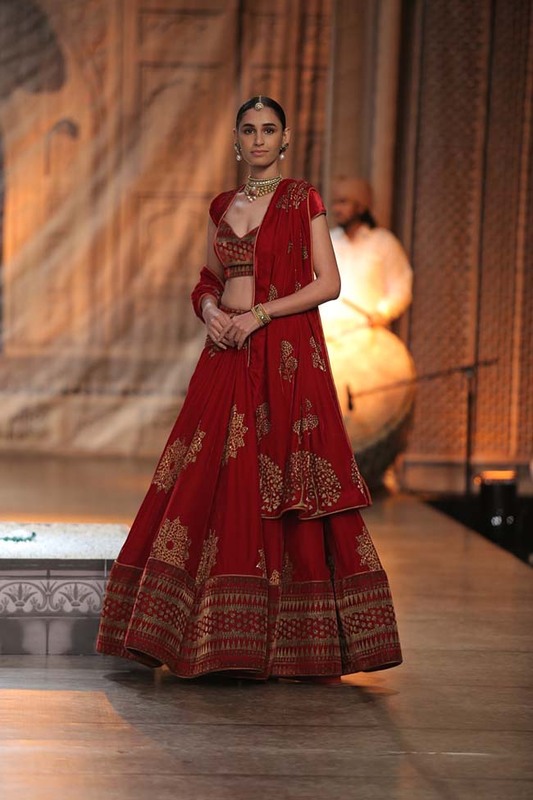 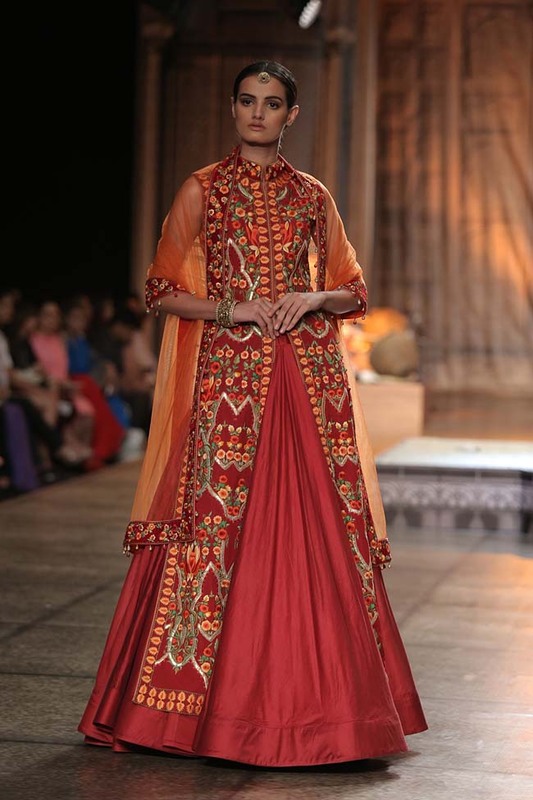 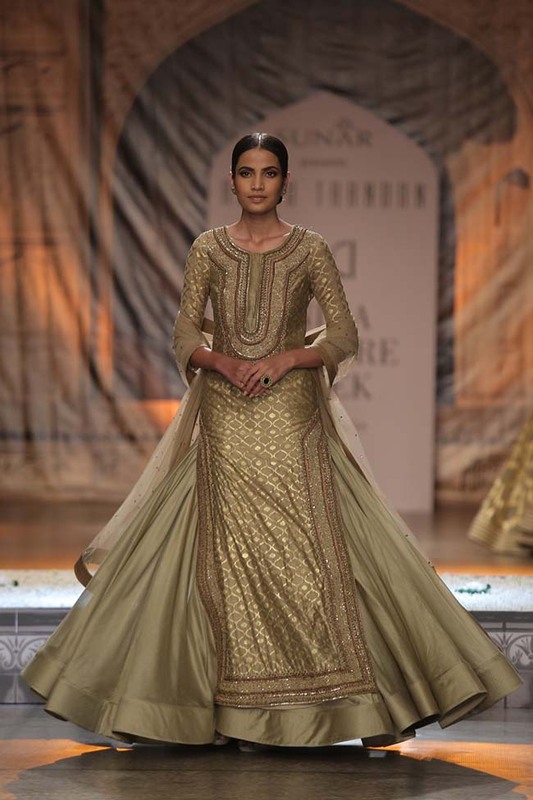 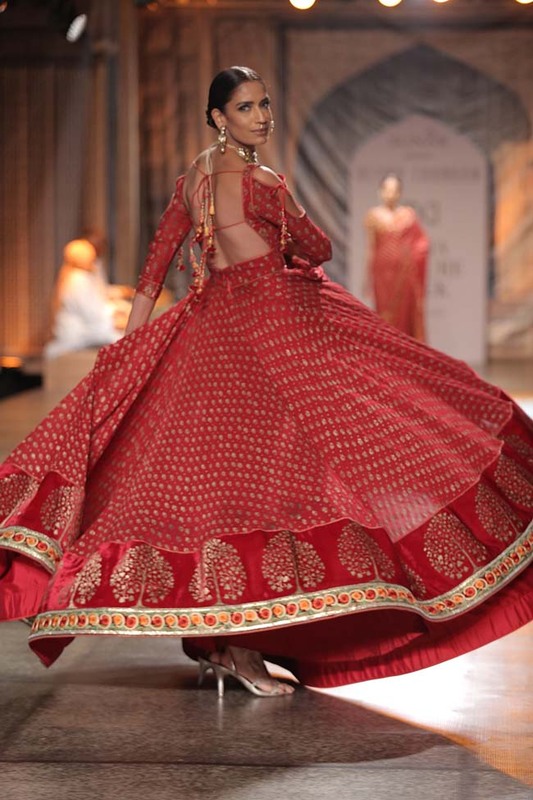 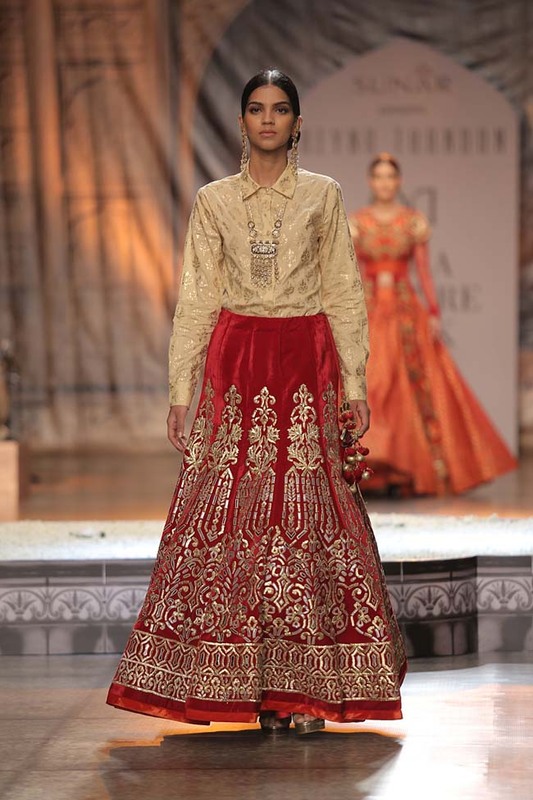 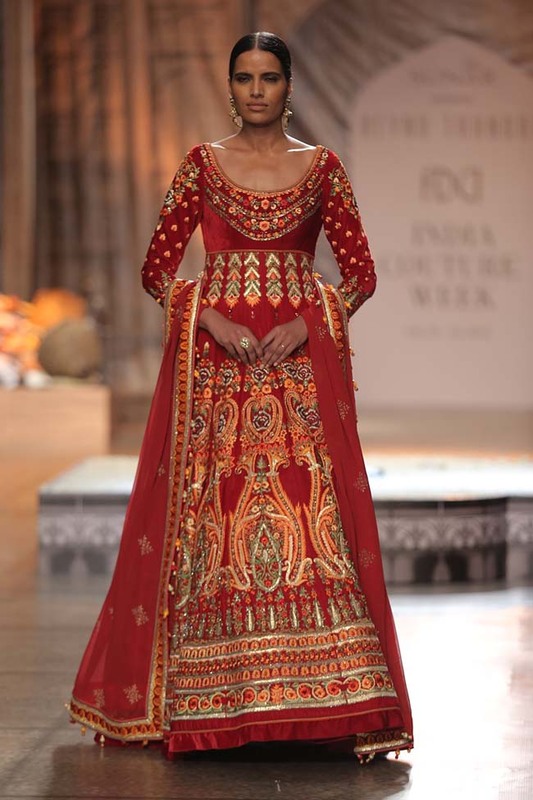 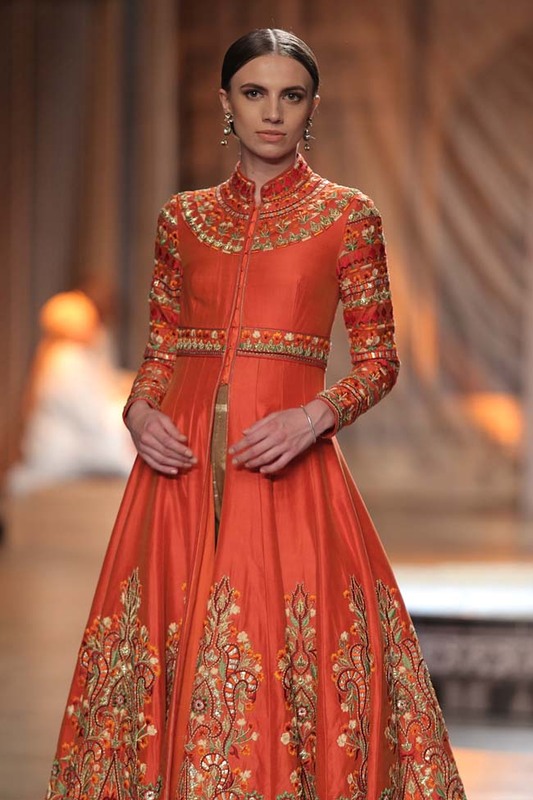 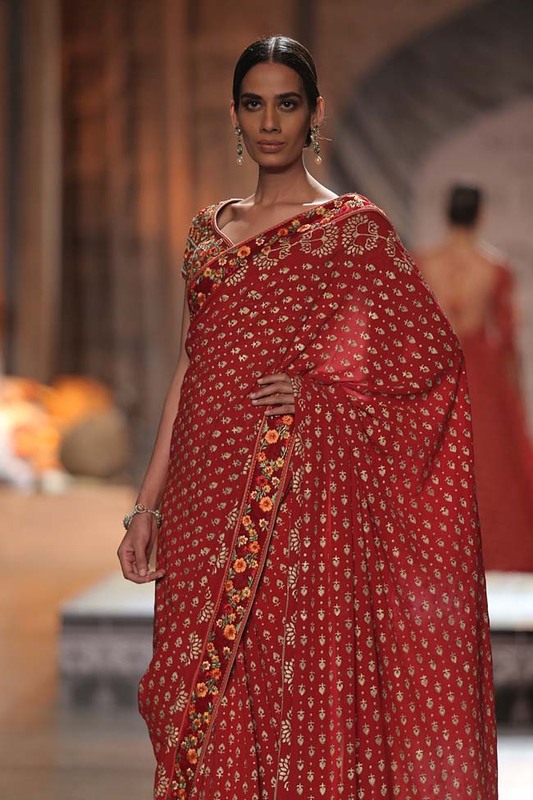 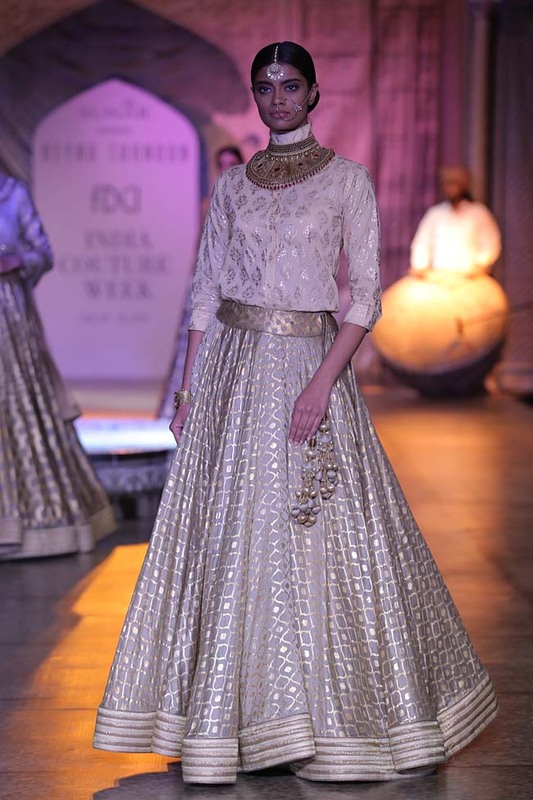 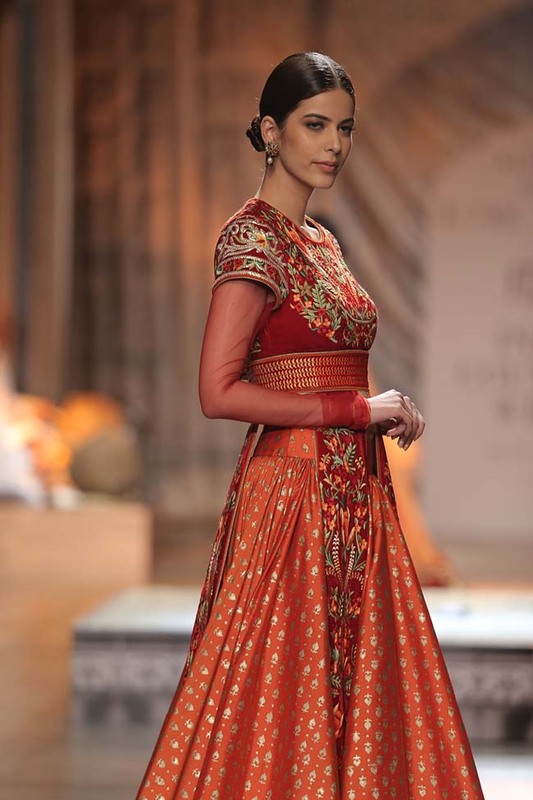 The silhouettes included wedding lehengas, Indo-western dresses with bundhgalas and slits worn over long skirts. 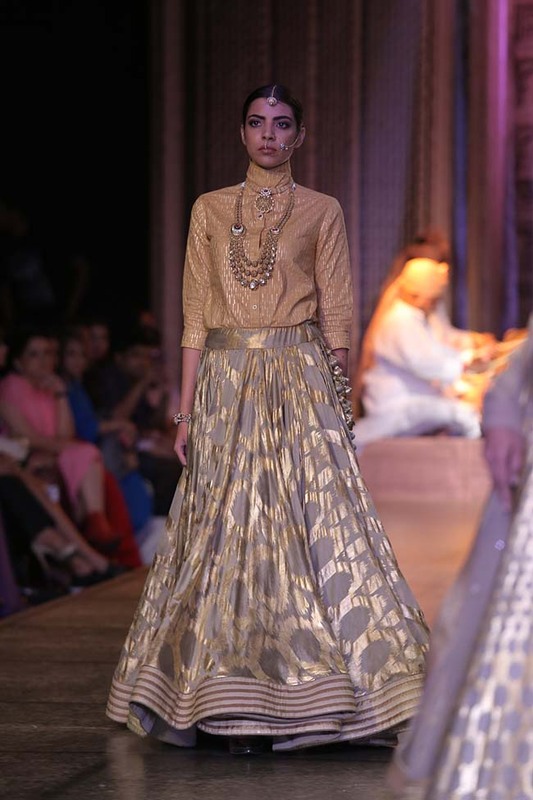 Extravagant anarkalis with knotted dori back-detailing were paired with loose pants. 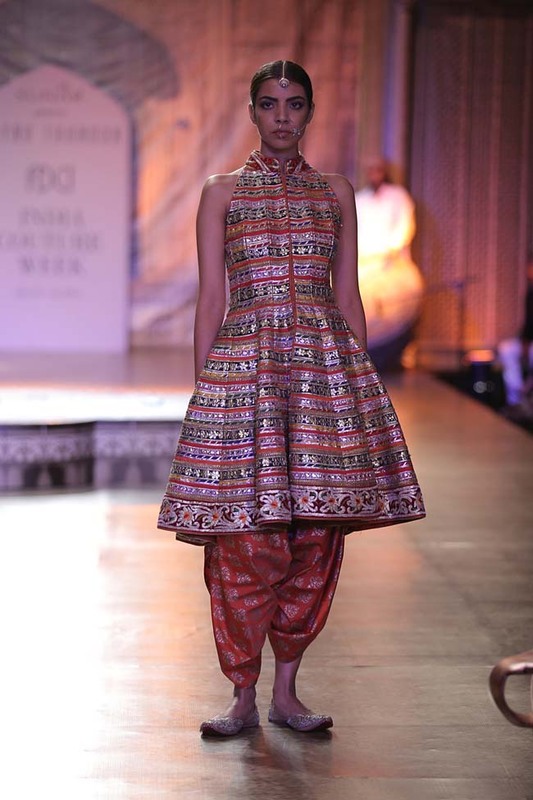 Ranging from handcrafted foil printing to block prints, the abundant detailing on embroidery and vibrant chanderi fabrics brought richness to the entire collection. 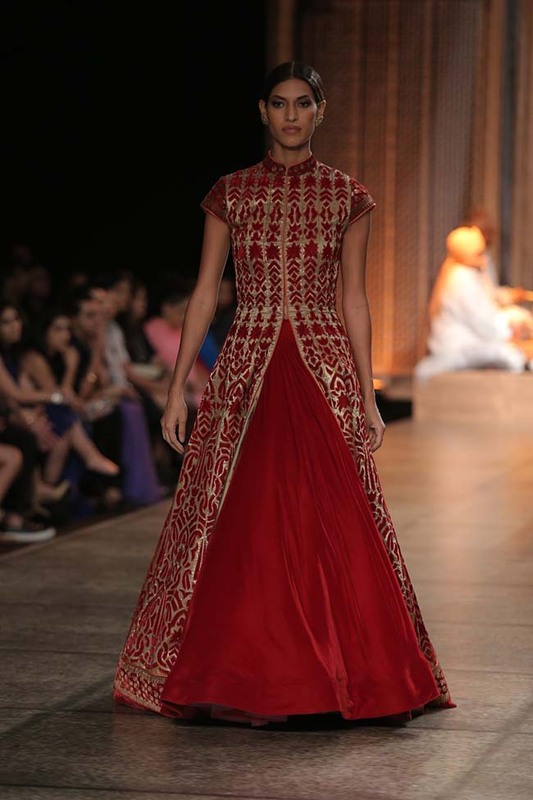 Here are two of my favorite looks from this collection – a gold print cream top paired with long skirt and a vibrant red color anarkali dress with slit worn over a long skirt. 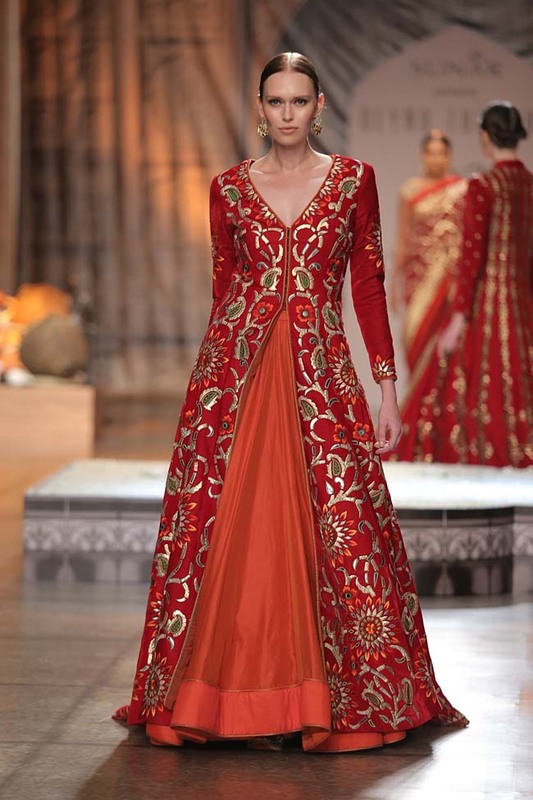 Such a beautiful collection. 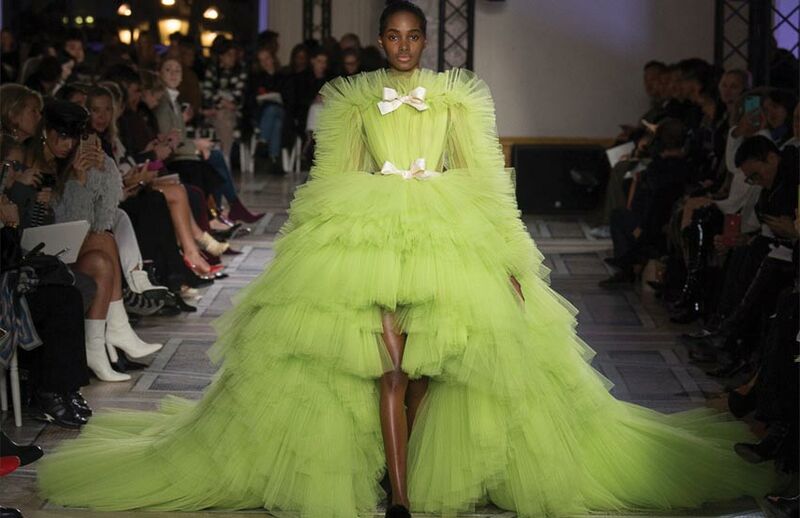 Truly couture.